Celebrating a famous Italian-American: My mom! 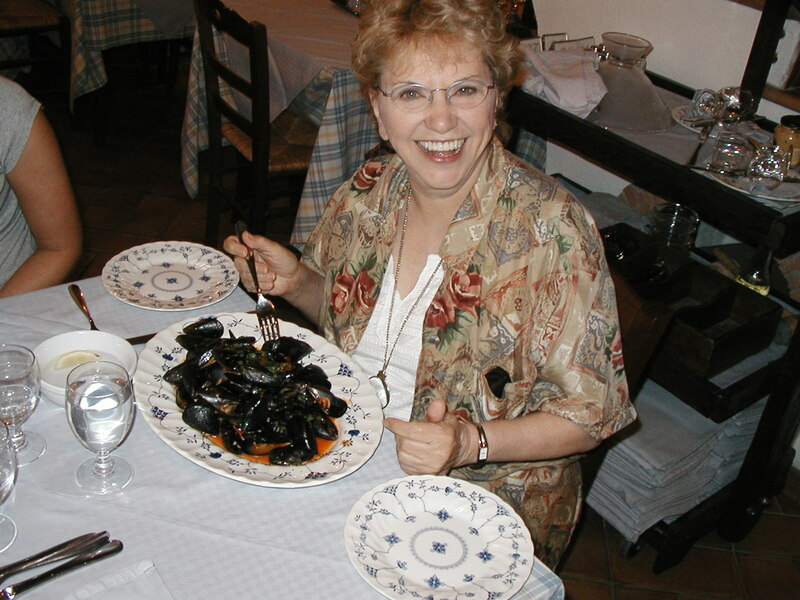 My mom, Win Perman, enjoying some steamed mussels in Sorrento ten years ago. Today is my mother’s 80th birthday. She was born on Long Island to an Italian mother and English father, both born in the U.S. of immigrant parents. In 1945, their tribe of nine moved from New York to Moose Pass, Alaska. This was just the beginning of a lifetime of travels and adventures for her. The party was a whopper, not soon to be forgotten! Thanks for your good wishes. Happy Birthday to your lovely Mom! Enjoy your week off.